We hear you! We’ve had many requests for pointe classes and we’re very happy to introduce Pointe Class on Wednesday nights with our American ballet teacher and former professional dancer, Kara. If you want to take your ballet technique to new heights (literally! ), develop strength and control, and feel the sublime beauty of dancing on pointe – then this class is for you. The class is open to Intermediate standard and above, with teacher approval. Am I ready to go on pointe? You can be too young for pointe work – but not too old. With proper training, your body can achieve the required strength and flexibility to dance strongly and safely on pointe. The most important requirement is correct technique. Pointe work is an extension of all ballet technique and our classes will focus on correct ballet posture, a strong core, lifting out of the hips and legs, and developing the intrinsic strength and flexibility of the metatarsals to enable you to perform safely on pointe. You’ll love the sense of core strength, balance and the ‘lifted’ sensation of dancing on pointe. 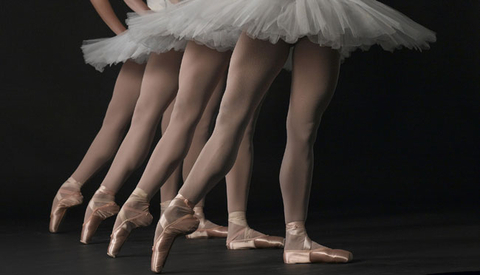 We recommend being professionally fitted for your first pair of pointe shoes. Remember to gently break in your shoes and mould them to your feet by wearing them for short periods of time around the house; perform rises in first and sixth position (parallel) focusing on rolling through the demi pointe position up to full pointe and back down through the demi pointe. It is important that the shoe is molded in the correct places for you. Class stars from Wednesday, 1 March 2017, at 8-9.30pm, beginning with Intermediate Ballet warm-up followed by Pointe work. Please call/WeChat 13817204098 or email director@zydance.com.cn for enquiries.